Apple rolled out the latest iteration of OS X, Mountain Lion, earlier this month. While it received a fairly warm reception, there have also been a fair share of less-than-stellar side effects reported from the operating system update. 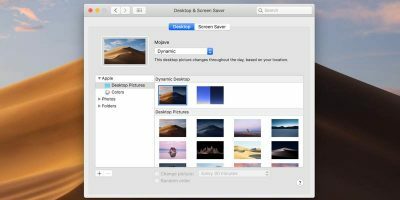 If you haven’t snagged Mountain Lion yet – or you have and you’re considering reverting – but want to experience some of the more notable features, here’s a couple ways to disguise your version of OS X to feel like Mountain Lion. Apple made its best effort to really make all your data available everywhere. The additional integration of iCloud into Mountain Lion is perhaps their strongest effort at this. While it’s great, it’s also unessential if you’re a Google Drive user. Sign into your Google account in a little program called InSync and you’ll be able to manage, edit, and share your documents online and off from any device. Mac users have come to be very familiar with iChat since its first appearance in 2002. But, as of OS X Mountain Lion, the little instant messenger will be no more. It’s replacement is Messages, a similarly skinned and featured chat program with integration for FaceTime and its mobile kin iMessage. Though Apple killed the beta version of the program, you can still access much of its functionality with a third party program. Trillian is a brilliant do-it-all chat client that has support for all of your accounts, synchronized conversations from desktop to mobile device, and complete integration with your Address Book contacts. AirPlay Mirroring was placed in Mountain Lion to allow for sharing the on-screen experience on your Mac through Apple TV. 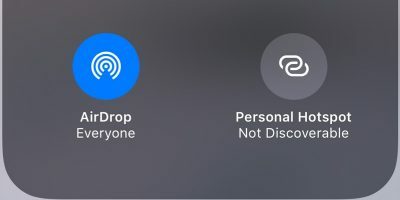 AirParrot gives you the ability to mirror specific apps or your full desktop for $10, while AirServer takes things a step further and gives you a mirror of your iOS device to your desktop for no cost. 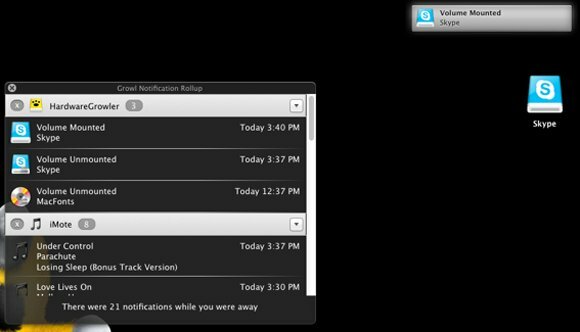 The Notification Center on Mountain Lion is a much awaited inclusion. Users of Growl will appreciate its functionality, while those who have never experienced anything like it will never want to go without it. But, as just noted, it’s pretty similar to Growl, pushing forward system alerts in an non-intrusive manner. Paying a couple bucks toward Growl will get you Rollup, a feature that is essentially the same as Notification Center’s pulldown notification history. If you’re missing those updates that pop up with texts and calls, supplement with BigPhone Lite. 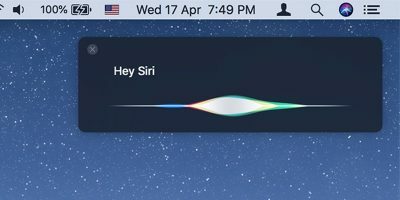 You’ll receive communication notifications and be able to respond right from the menu bar. 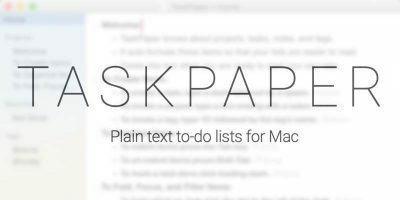 Two applications with extremely simple functions – taking notes and keeping to-do lists – are now a part of Mountain Lion with platform syncing. It’s a great idea that’s been around for awhile through other applications. If you’re not using Evernote yet, expect to forget all about Apple’s Notes program thanks to this feature-rich, media friendly, cross-device app. The same can be said for Wunderlist, a to-do list on steroids that is accessible on pretty much any device you own. Safari gets an overhaul in the process of the OS X upgrade, but its a tune up to nothing we haven’t seen already. The unification of the search bar and URL bar can be obtained through installing the Ominbar extension. 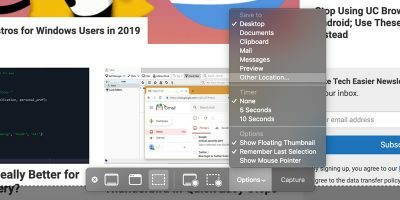 The inclusion of Share Sheets into Safari allows you to pass around media and web pages through various accounts and services, or basically exactly what bookmarklets do. If there’s a service you know you’d like to share with, search for it with the term “bookmarklet” and create a collection of easily accessible share buttons for anything and everything. 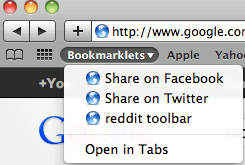 Facebook, Twitter, Gmail, Pocket, Reddit; You name it, there’s probably a bookmarklet for it. Another part of the Share Sheets feature list is the inclusion of Twitter in apps so you can tweet from anywhere. 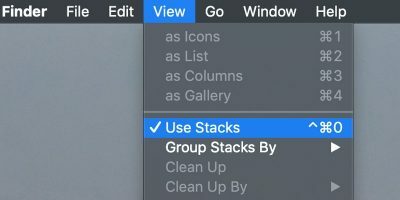 You can already do this with the official Twitter for Mac client. Download it, login, right-click highlighted text in anything from TextEdit to the Finder, and send it off to all of your followers. 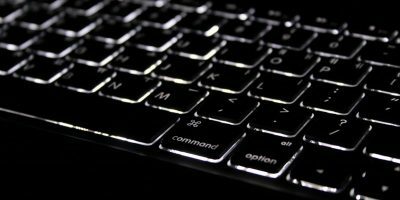 While it’s a common belief that Macs don’t get viruses, it’s not true. 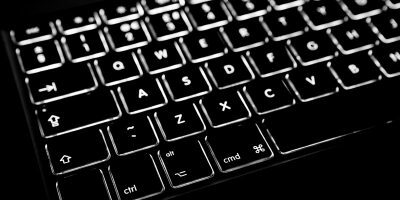 It may be rare in comparison to Windows operating systems, but that doesn’t mean having protection is a bad idea. Apple addresses this with GateKeeper, but there’s applications that are more feature rich than Apple’s installation limiter. Sophos Anti-Virus for Mac is free, functional, and fantastic for keeping everything bad out. What other apps do you use to get Mountain Lion functionalities on your Mac?